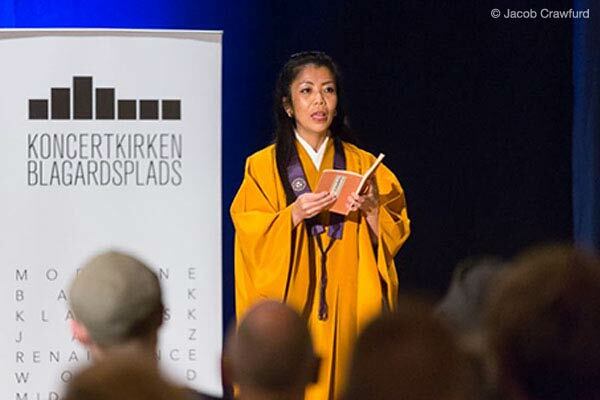 The Japanese epic story telling tradition of Heike Monogatari, as I believe, perfectly reflects our modern world with its dramatic episodes of universal human emotion and its Buddhistic idea of cause and effect and human life's impermanence. It is my sincere passion to perform this traditional music for a contemporary audience, sharing a space and time to discover an essence of humanity. 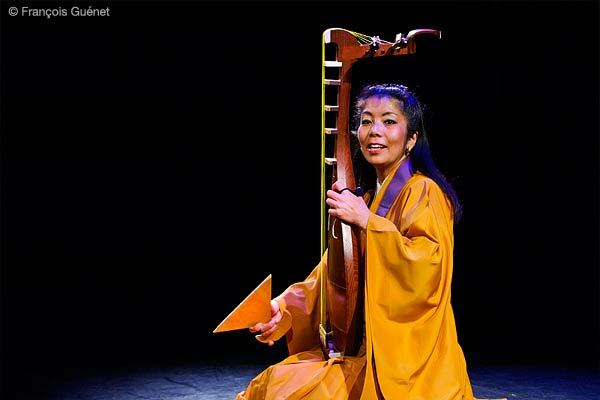 A musical performance of Junko Ueda extends Japanese ancient sound into modern times. 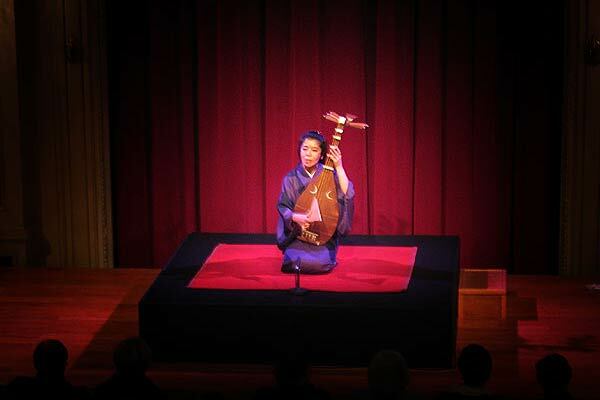 Both the biwa epic story telling tradition as well as shomyo Buddhist chant are unique musical treasures which have been passed on from generation to generation. 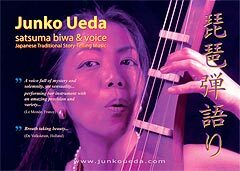 Junko Ueda (born in Tokyo, Japan) is Japanese singer and satsuma-biwa player, presenting Japanese traditional biwa epic story telling and shomyo Buddhist chant. 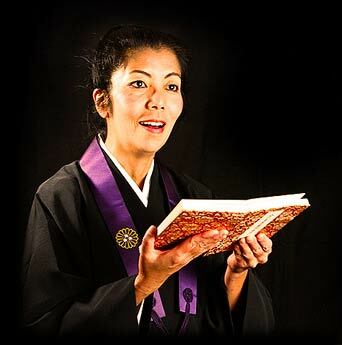 Ueda studied satsuma-biwa epic story telling with the famous Kinshi Tsuruta (Satsuma-Biwa Tsuruta-style) and Buddhist shomyo chant with Kôshin Ebihara (Tendai school). She studied composition (under Reiko Arima, Jôji Yuasa, Sei Ikeno) at the Tokyo College of Music. 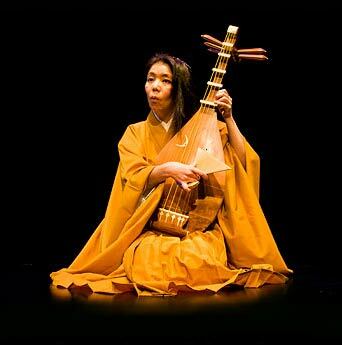 She has participated the project of Reigaku Ensemble (ensemble of reconstructed instruments from Shôsô-in Imperial treasure house of 8th century) directed by the Tokyo National Theatre, Japan. 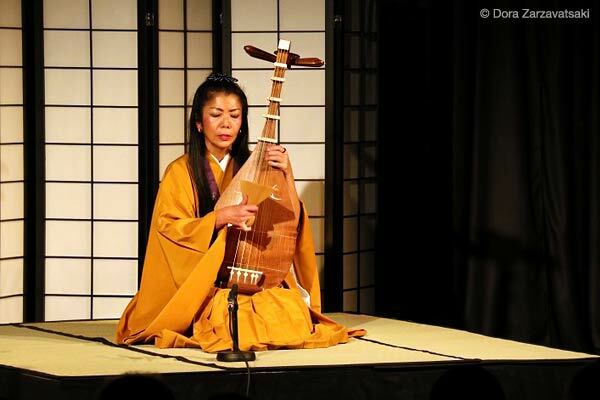 Ueda has based in Europe and has been presenting biwa epic story telling as well as shomyo Buddhist chant concert in numerous situations and at music festivals. 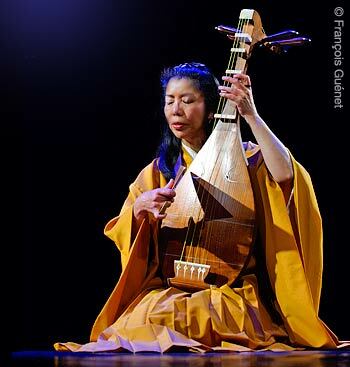 Her traditional biwa CDs “L’épopée des Heike" (CD650 VDE/AIMP Geneva) and "Satsuma Biwa" (ARN64577 Arion, Paris / Ethnomad, Geneva) received several prizes e.g. the Grand Prix du Disque, Academie Charles Cros, Paris and Choc Le Monde de la Musique, Paris. 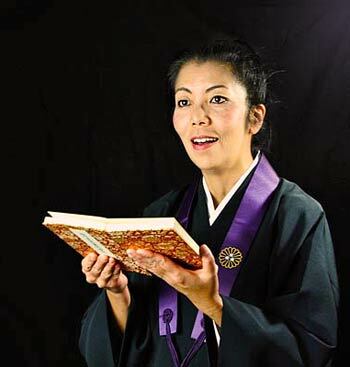 She has released her solo CD of shomyo Buddhist chant titled ‘Meditative Flowers’ (E-records, Granada, Spain). 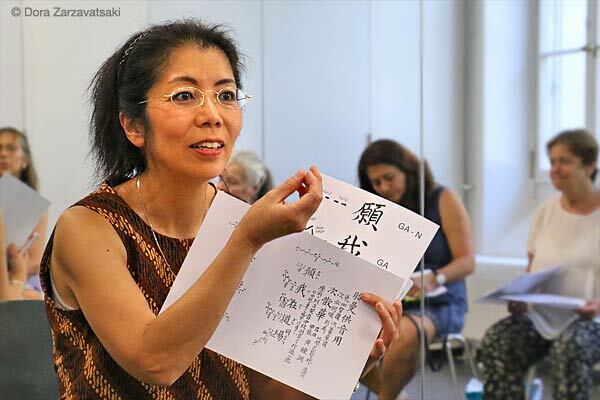 Since 1995, Ueda has been presenting the shomyo chant workshop and lecture. In these events, participants enjoy exploring the 1200 year old shomyo melodies and its concept and seek the wisdom and power of the breath from this ancient tradition. 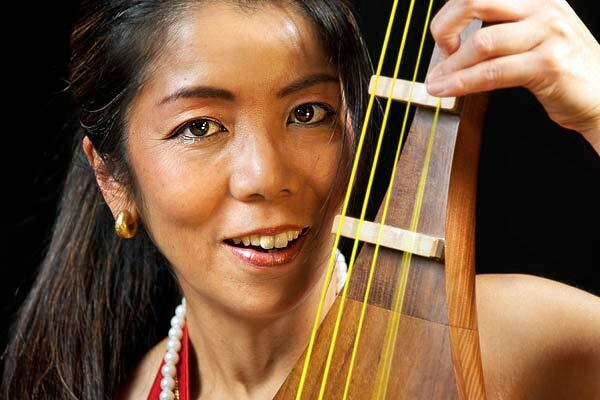 Contributing for new compositions and improvisation, Junko Ueda has been working with composers, e.g. 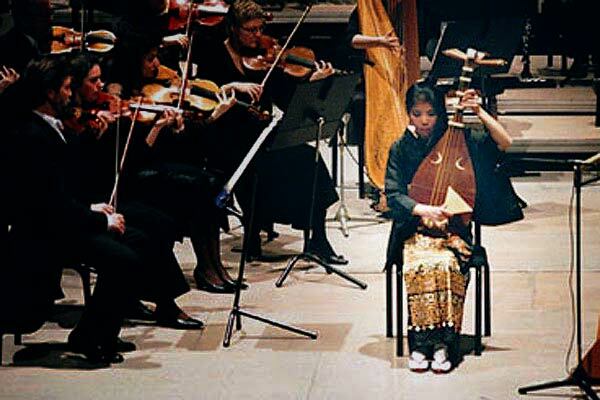 Jean-Claude Eloy, Qu Xiaosong, Akemi Naito, Keiko Harada, Daryl Jamieson and performing with e.g. cellist Yo-Yo Ma, contrabassist Peter Kowald, Dutch Nieuw Ensemble, percussionists Ying-Hsueh Chen and Lê Quan Ninh. 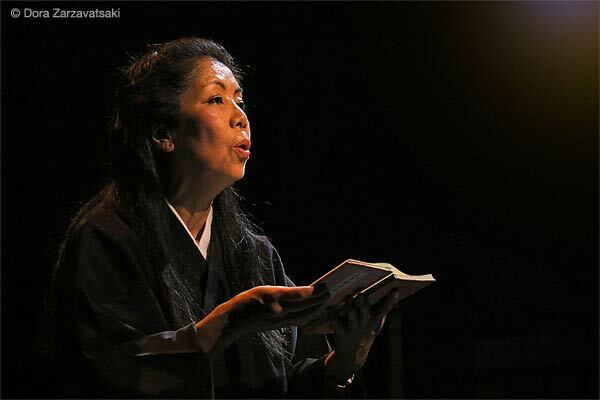 Also, she is specialized to perform the pieces for biwa of Japanese composer Tôru Takemitsu. Since 1988 she has been presenting a duo performance with Dutch flutist Wil Offermans. This Duo Ueda Offermans has recorded the CD "How to Survive in Paradise" (CD732 VDE-Gallo Swiss) and has been touring world-wide (Europe, Asia, North and South America), performing own compositions and improvisations. She has been active as a producer for several inter-cultural projects including 12xHolland and Body & Soul Xperience Caravan. 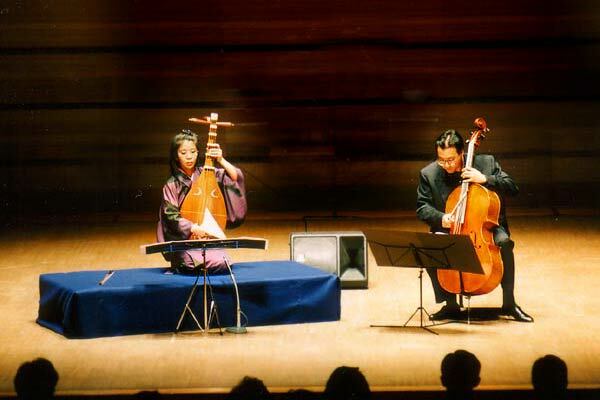 Live recording of a Heike Monogatari arrangement by the Duo Ueda Offermans at the Copis Miyoshi Concert Hall, Saitama, Japan. Includes the traditional pieces Dan-no-Ura and Gion-shoja. Ful version (26 min). Click the image to download the A5 flyer (PDF-format).